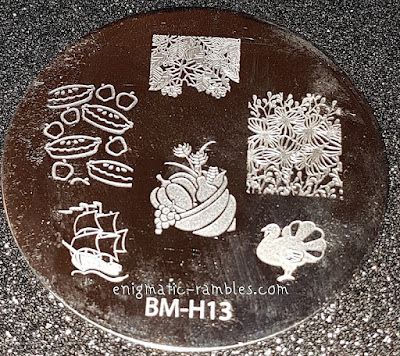 BM H13 is a Thanksgiving Day themed plate. 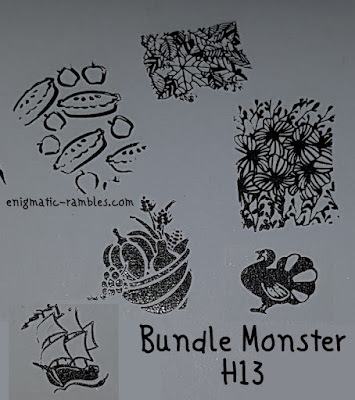 Most of the images stamped across well, the finer lines in the ship were harder to get to stamp. 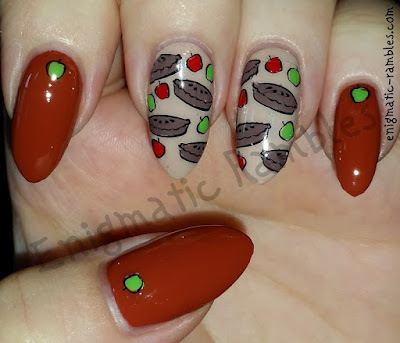 From the plate, I really appreciate the pie image, something a bit fun.